Save Your Food. Save Your Money. This waste costs the average American family an average of $1,800 each year. Absurd, right? We agree. And this absurdity was the catalyst for our Zero Hunger | Zero Waste social impact plan designed to end hunger in our communities and eliminate waste across our company by 2025. But, we’ve always known we can’t do this alone. So, we’re asking for your help! 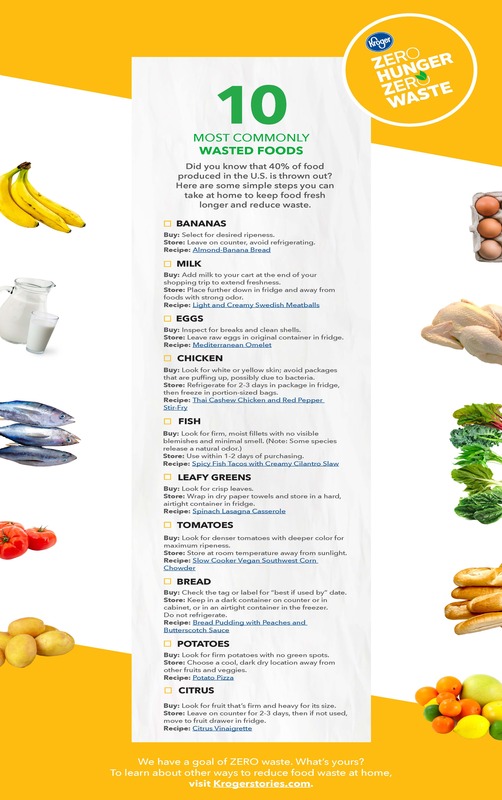 Our Food Waste experts at Kroger have some clever tips for buying, storing and preparing the ten most commonly wasted foods.